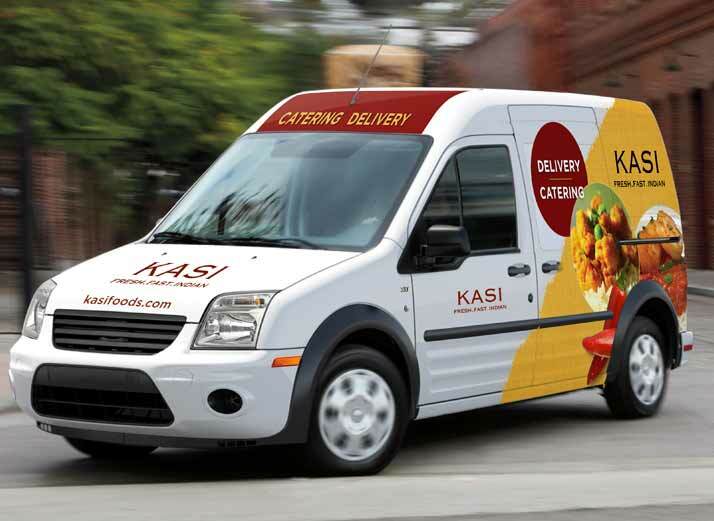 The Challenge: With the launch of delivery and catering services as well as the opening of their fourth location, KASI Restaurants needed branded vehicle graphics to provide a rolling billboard when they delivered meals and catering. 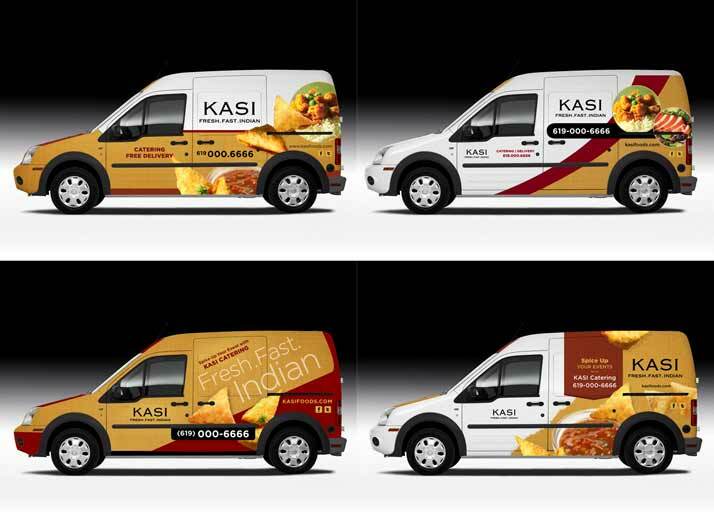 The Solution: I designed digital graphics for all sides of the delivery van. 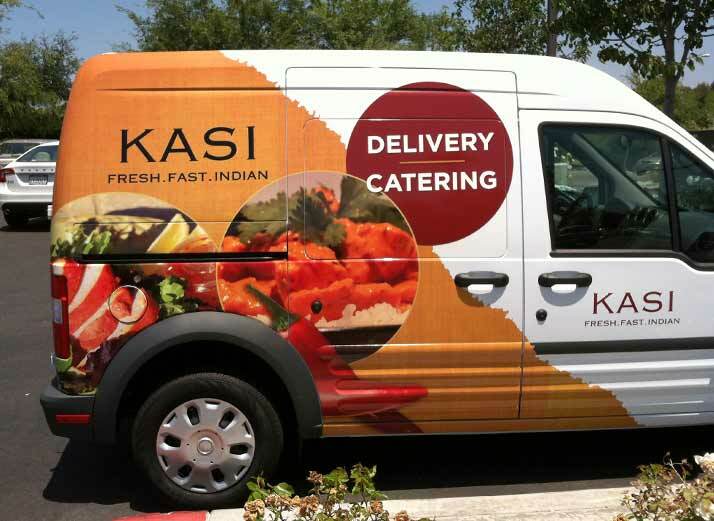 After presenting numerous layout options the client selected a partial wrap approach, to take advantage of the bright white color of the vehicle as well as reduce fabrication and installation costs. 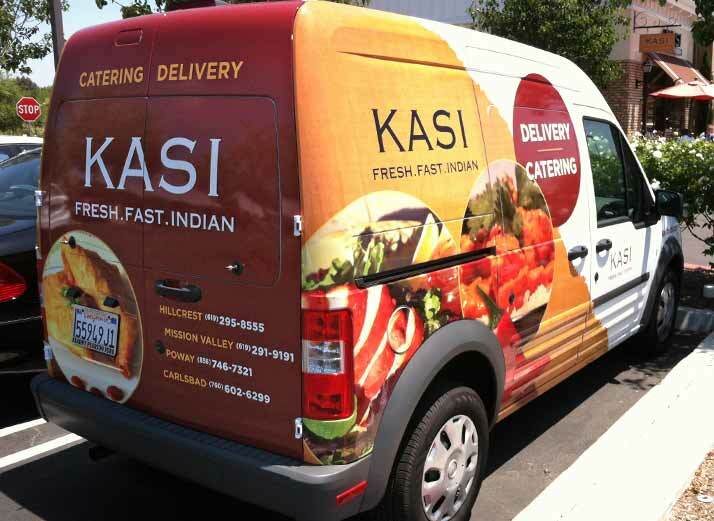 After careful measurement and production of the final art files the installation went smoothly.